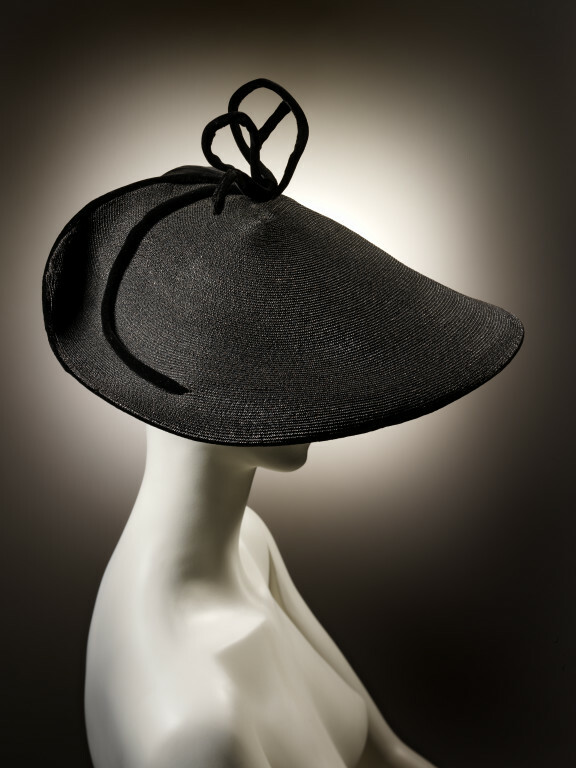 This large-brimmed sculptural hat was designed to balance the full-skirted fashions of the period. Dyed black straw has been expertly and painstakingly joined to compose elegant curves. Otto Lucas was both inventive and prolific. In his final year of designing he issued 55,000 hats. 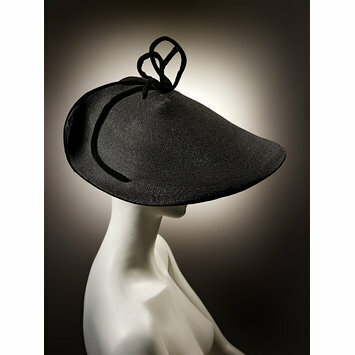 Black straw hat with a wired velvet bow. Worn by Mrs. Barbara Allanson and given by Mr. Robin Allanson. de la Haye, Amy, ed. The Cutting Edge: 50 Years of British Fashion 1947-1997. V&A Publications, London, England, 1997, pp. 141 and 142.